Early Sunday morning we returned to Korea after a fantastic two-week vacation in southeast Asia. We had such a wonderful time with equal parts rest, relaxation, and excitement. All of our actual travel went really smoothly as well without delays or complications. If you travel much, you probably know that that almost never happens so it was a true blessing. From Krabi we took a short 2-hour flight straight to Singapore. 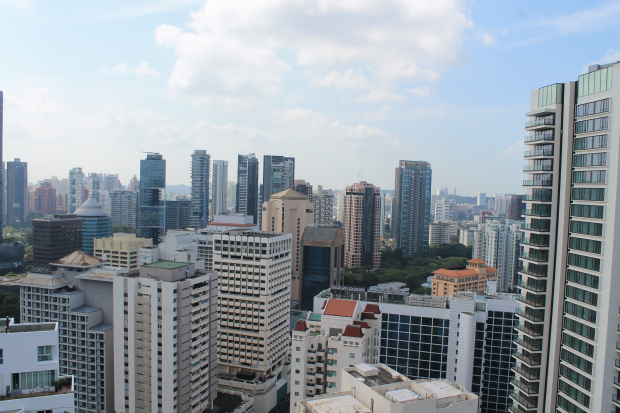 We went to Singapore in part to visit some friends who are living there. (Actually, it’s the family that I used to work for back in North Carolina – the same family we visited when they were living in Shanghai last year). This is the view from our friends’ living room. Not too shabby! ← When is the best time to visit Korea?